Following the critical acclaim of their debut album, ’Postcards’, Meadowlark have announced details of a UK headline tour to take place throughout September and October. Starting in Brighton, the 12-date tour will take in Glasgow, Leeds, Birmingham, and more before culminating in a homecoming show at The Louisiana in Bristol. Full listings below. Watch the video for latest single ‘Postcards’ on YouTube HERE. Meadowlark released their debut album ‘Postcards’ on June 30th via All Points (previously known as Believe Recordings). 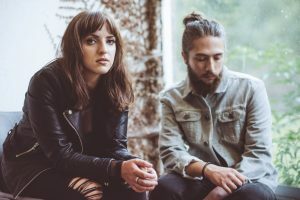 The Bristol-based duo released their debut EP in 2015 and spent 2016 sharing a series of standalone singles, steadily gaining themselves an enviable reputation for their captivating pop melodies and lush production. It’s hard enough to have one successful career. Having the strength to call time on it and start from scratch seems like self-sabotage. In Kate McGill and Dan Broadley’s case however, it looks like it’s going to pay off. Their early years – while exciting and substantial – now look like practice for the main event. The moment it was all building up to? Meeting each other and forming Meadowlark. ‘Postcards’ brings together some of the duo’s previously released tracks (including Headlights, Eyes Wide, Satellite) alongside brand new material written during various retreats the pair took around the UK, working from any cottage they could find that had a piano. Free from distractions and loaded up with ideas gathered from observing the world around them, they used such spaces to craft the songs that form ‘Postcards’. 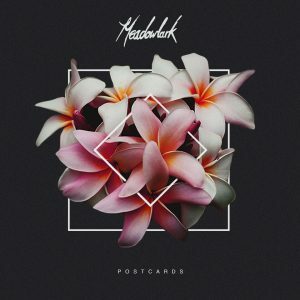 Once recorded, Meadowlark then teamed up with Spike Stent (Haim, Chvches, Massive Attack) to mix the songs and ensure ‘Postcards’ is everything they had hoped it could be. Tickets for all headline dates are on sale now from the band’s official website.